The DALTON Gear Company is dedicated to precision manufacturing of gears, sprockets, couplings, torque limiters, speed reducers and gearmotors. 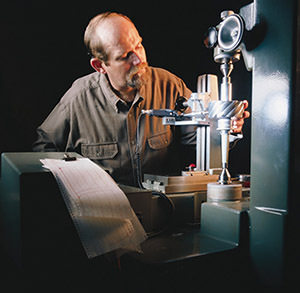 Since 1955 Dalton has developed from a small shop with a few machines to a fully equipped plant covering over 50,000 square feet. This growth is the result of a combination of skill and know-how in production, plus the special attitude of Dalton personnel and management which focuses on one objective … complete customer satisfaction. This Dalton attitude is reflected in every phase of operation. Dalton management, with over 60 years of experience in serving industry, understands the needs and problems of both distributors and O.E.M. customers and what they expect from a manufacturer. Dalton personnel take real pride in producing products of consistent high quality that adhere rigidly to specifications. Doing the job right the first time is the everyday objective of Dalton. Whatever your needs … from a few stock sprockets to mass production of highly specialized gears … you can depend on Dalton for the quality you expect, the delivery you require, and the best possible price.